Lunga Shabalala (born 22 May 1989) is a South African actor and television personality. He hosted SABC 3's The Man Cave alongside Janez Vermeiren, Siv Ngesi, Jason Goliath and Warrick Stock. 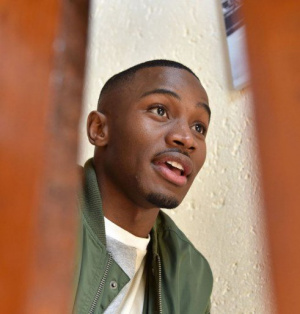 As an actor Lunga Shabalala appeared in the first season of 1Magic's The River as Lindani and SABC 1's Task Force as Zuko. Lunga Shabalala replaced Kaos Matu as co-host of SABC 1's long running variety show, Selimathunzi with Zizo Beda.